Disclosure: This is a sponsored post in conjunction with Hewlett Packard for their new product Sprout by HP. I received compensation for participating in this campaign. One of the best parts about this time of year are all the fun ways your family can decorate the house. We love to be creative so we wanted to find a way that the whole family could be involved in decorating. With three young children, this is not always easy. 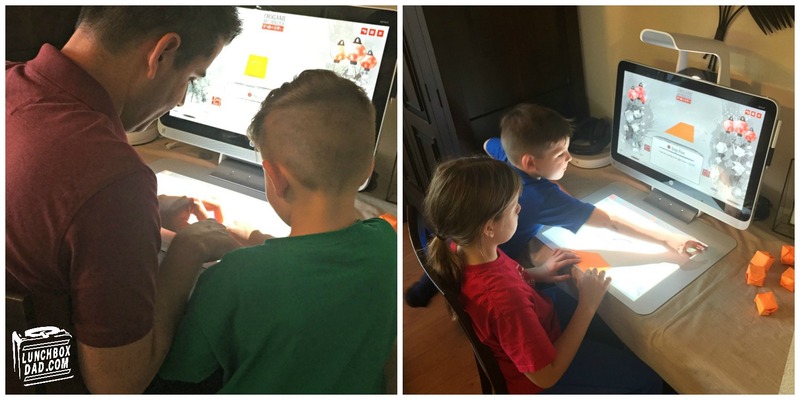 Thankfully we found a new app on our HP Sprout that helped us create decorations and also work together as a family. The app is called Origami Apprentice. I have never been one who understands how to fold origami objects. As a kid I desperately tried to figure it out, but I eventually gave up because it was too hard to remember. I eventually focused on paper airplanes. 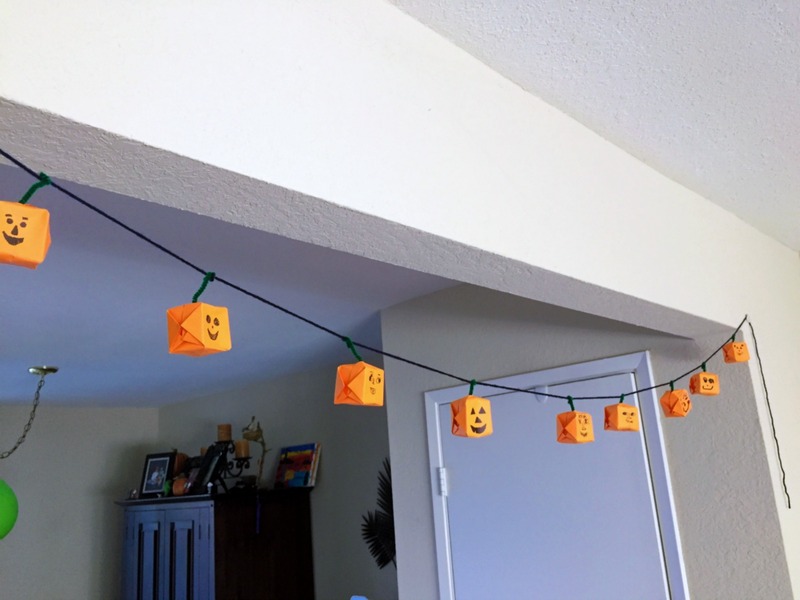 However, after a little time with Origami Apprentice I had memorized how to make these origami "balloons" and turn them into hanging Jack-o'-Lanterns. Once I had the folding down, I showed my five-year-old-son who then worked with my nine-year-old daughter on it. The app uses the Sprout's dual screen technology to show you exactly how to fold each object, and what size and shape the paper should be at each step. It is ridiculously simple how easy the app makes this project. 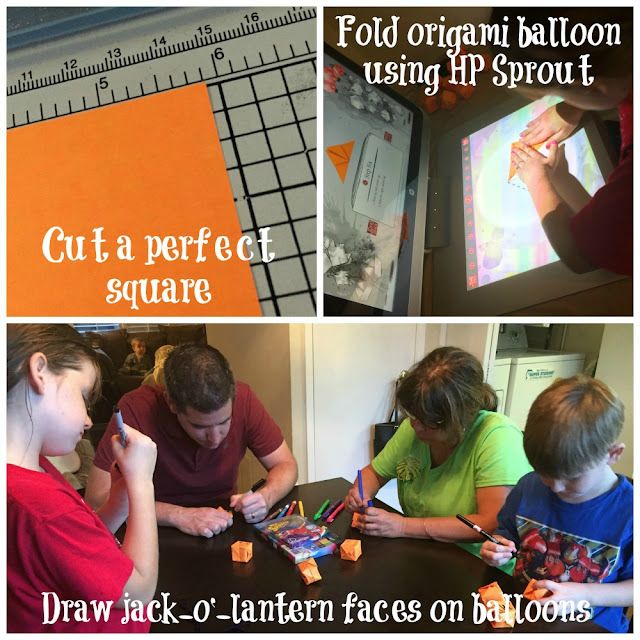 green pipe cleaners, and black markers, and an HP Sprout with the Origami Apprentice app. We started by cutting pieces of orange paper in squares. The app said it recommends 5 7/8 squares so we went with that. I used a paper cutter but scissors will work as well. We then followed the step-by-step animated instructions on the Sprout for folding an origami balloon. I suppose you could attempt using a book or video, but I am telling you the animations on this free app were spot on. After we folded the amount of balloons we needed, my stepmom, kids, and I drew faces on each of the jack-o'-lanterns. The great thing is that there were enough for everyone to use their creativity to draw whatever faces they wanted! It is important to make sure that you draw the faces with the hole in the lantern pointing up. Next up we needed to mount the jack-o'-lanterns to the string so that we could hang them. We cut our string long enough to reach across the doorway. Then we cut short pieces of pipe cleaner for each lantern. I bent the pipe cleaner around the string first, then I folded the other end into a hook shape as shown. The lantern has a built in hole that the hook easily slides into. To finish, we hung the banner across the doorway and straightened out the lanterns. 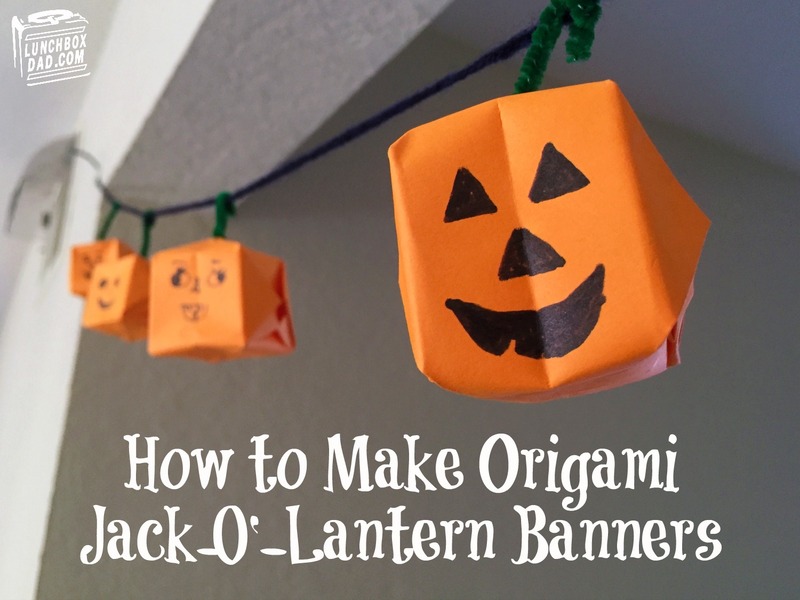 This will be one of the most fun family times you spend this Halloween. It will also be a craft that your kids will remember for years to come. 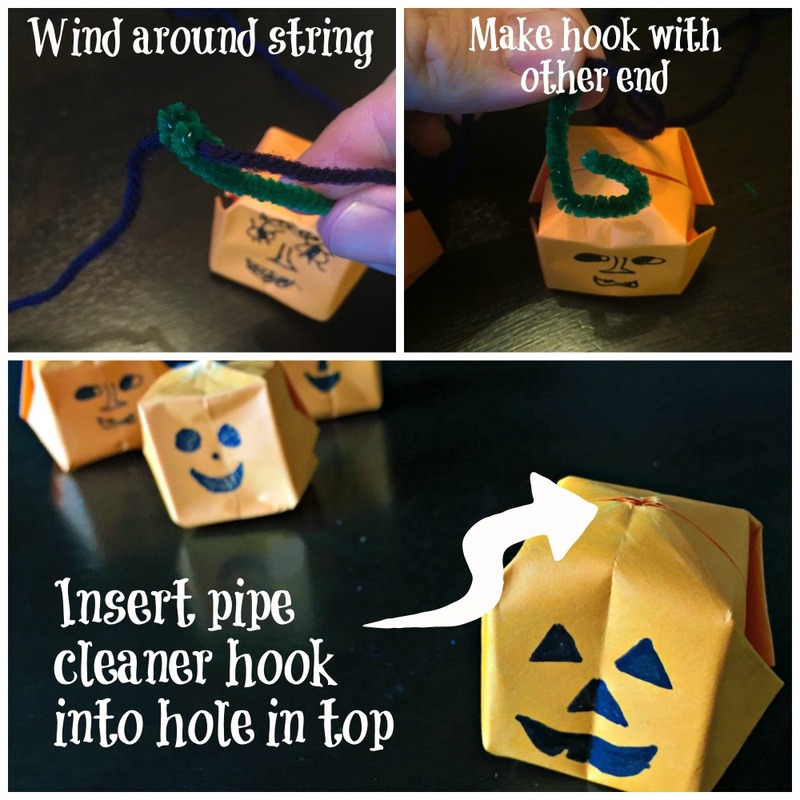 For more ideas like this search #gomakethings on social media and check out the Sprout website. Have a happy and safe Halloween!